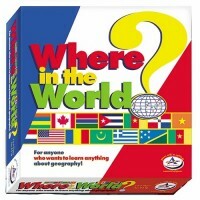 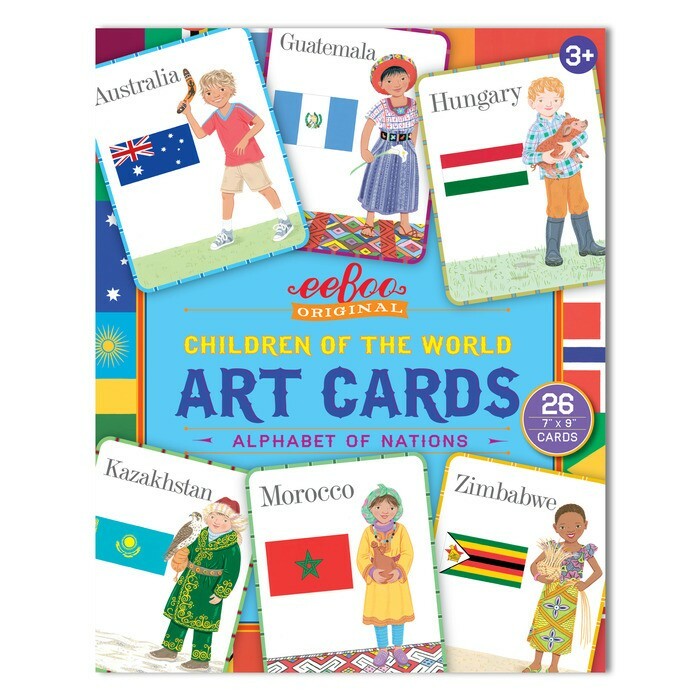 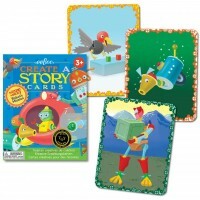 Learn alphabet of nations with this creatively illustrated Children of the World Art Cards set from eeBoo. 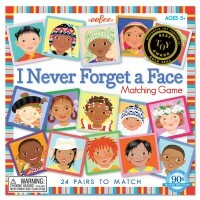 Meet the children around the world from A for Australia to Z for Zimbabwe! 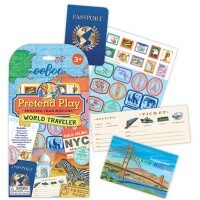 Learn the geography theme alphabet as you play with these beautifully illustrated learning art cards by eeBoo. 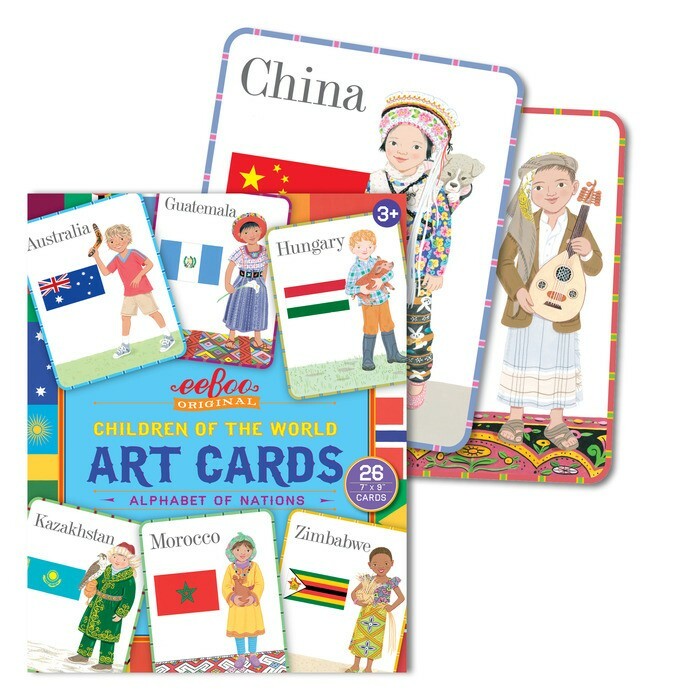 Each card from this artistic Children of the World Art Cards Alphabet Set shows a child wearing a national folk costume of one of the world countries, this country's name and flag. 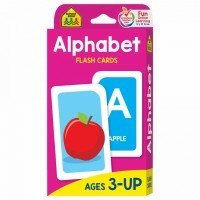 The art cards present the entire alphabet. 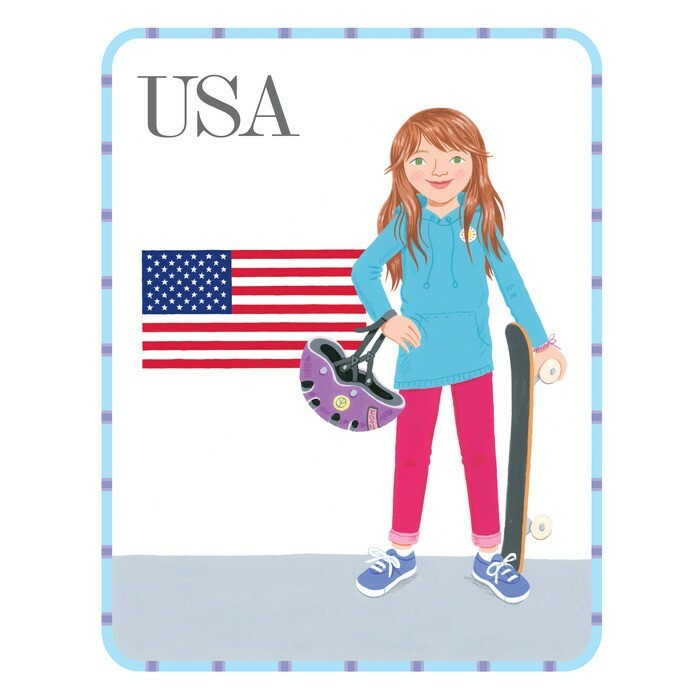 Illustrated thoughtfully and creatively by Lizzy Rockwell, these large cards are your child's alphabet of nations playset. 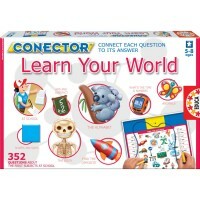 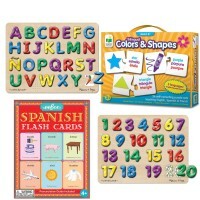 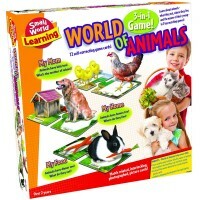 Cards from this Educational Toys Planet are printed on heavy laminated cardstock paper and measure 7 x 9 inches.Children of the World Art Cards Alphabet Set will work great for social studies world cultures display at home or in a classroom. 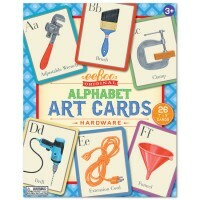 Great alphabet and cultural diversity teaching idea with imaginative art implementation! 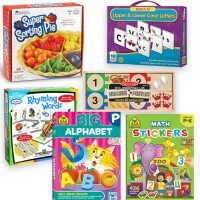 Dimensions of package 7.48" x 9.49" x 1.69"
Write your own review of Children of the World Art Cards Alphabet Set.